Stampin' Up! UK Demonstrator - Teri Pocock: Online Extravaganza! SALE!!!! Stampin' Up! 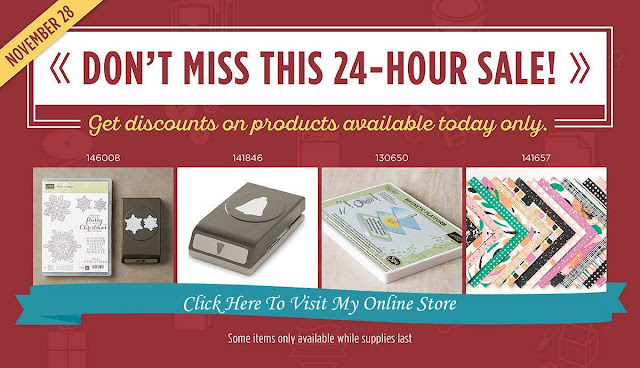 have a fantastic SALE starting today! It runs until Monday 28th November ..... but some items are only available while supplies last, so don't delay your order!! 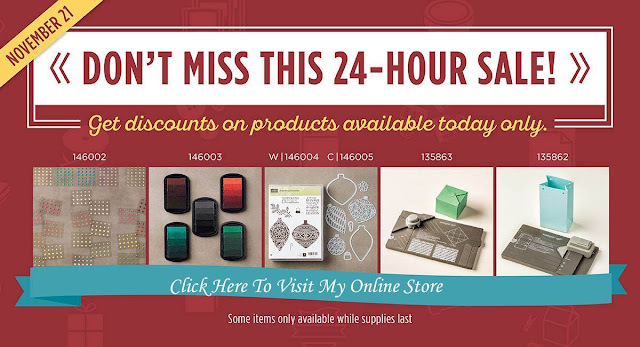 There are 2 FLASH SALES - one for discounted products available for TODAY ONLY ..... and another for MONDAY 28th ONLY!!!! Everything else is discounted for the entire 8 days! You can view the complete details HERE. Discounts range from 10% to 40%.